Dr. Moore is a leading varicose veins specialist in the Keller, Grapevine, Southlake and Colleyville areas. His staff at Advanced Vein Care bring safe, effective, and often dramatic results for women and men who need relief from the serious effects of varicose vein disease. Get treatment for your varicose veins and get back to enjoying life! 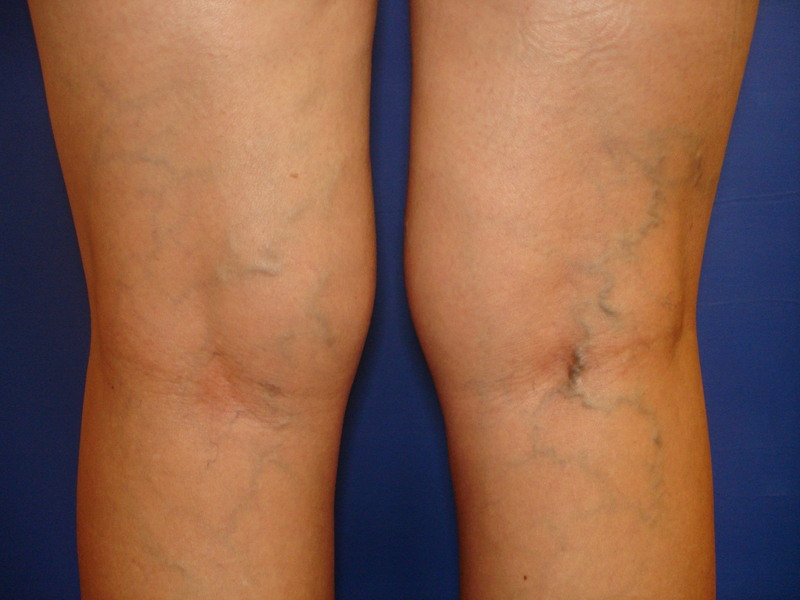 What is Varicose Veins Disease? Varicose vein disease starts with the veins–blood vessels that carry blood back to the heart. Healthy leg veins transport blood up the leg with the assistance of valves that open and close to direct the return of blood back to the heart. Sometimes, however, valves fail to function as designed and become damaged or diseased causing blood to pool in your legs (called stasis) and/or flow backwards (called reflux). This leads to symptoms such as pain, aching, throbbing, swelling, swollen limbs, leg heaviness and fatigue, skin changes and ulcers, itching, cramping, restlessness and varicose veins. If venous disease is left untreated, symptoms can worsen over time and could lead to chronic venous insufficiency. Dr. Moore and his staff at Advanced Vein Care take a personal approach to varicose veins treatment. To them, treating vein disease starts and ends with you and your health. What may start out as an unsightly cosmetic issue can end up being a very painful health issue. As a board certified surgeon and vein specialist, Dr. Moore performs VenaSeal, Phlebectomy, Sclerotherapy, Compression therapy and ClosureFast™ procedures. Regardless of your age, gender or body type, Advanced Vein Care has a treatment that will work for you. By choosing Dr. Moore as your vein specialist, you benefit from his years of experience in treating vein disease. Dr. Moore looks at your overall health and not just what’s going on with your veins. Whether you visit our clinic in Keller or Grapevine, healthy veins equal a healthy life. At Advanced Vein Care, our practice has always been on the cutting edge of technology and education in vein disease to offer the best for our patients. With the newest technology and trained in the best procedures we can offer faster, safer, and less painful treatment. We won’t tell anyone if you want to take the whole day off work after your treatment, but you really won’t need to! The majority of patients that Dr. Moore treats head right back to work after the procedure. Minimally invasive and quick recovery are two of the many aspects that patients really appreciate about our varicose veins treatment. Our office will provide expert claims assistance and processing of your insurance paperwork. In addition to major health insurance providers, we also accept cash and credit cards for services. It has always been our philosophy to be up front and honest about the fees and costs associated with treatment. Dr. Moore is very considerate and caring and so is the staff. I am very pleased with his work. Dr. Moore has a very gentle touch, is very, very thorough. He explains everything he does and makes is in understandable terms. I am very pleased. I am very pleased with my experience. Dr. Moore and is staff are very professional. Thank you!